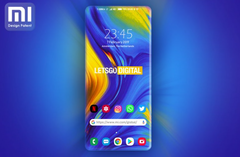 A patent for a Xiaomi smartphone with a full-screen display that extends halfway down the device’s edges has been spotted by LetsGoDigital. The same publication has crafted impressive renders of an elegant-looking smartphone based on the drawings included in the patent. Little additional information is offered in the patent filing. Once again, LetsGoDigital has managed to impress with renders of a prospective smartphone. The device getting a makeover this time is from Xiaomi. 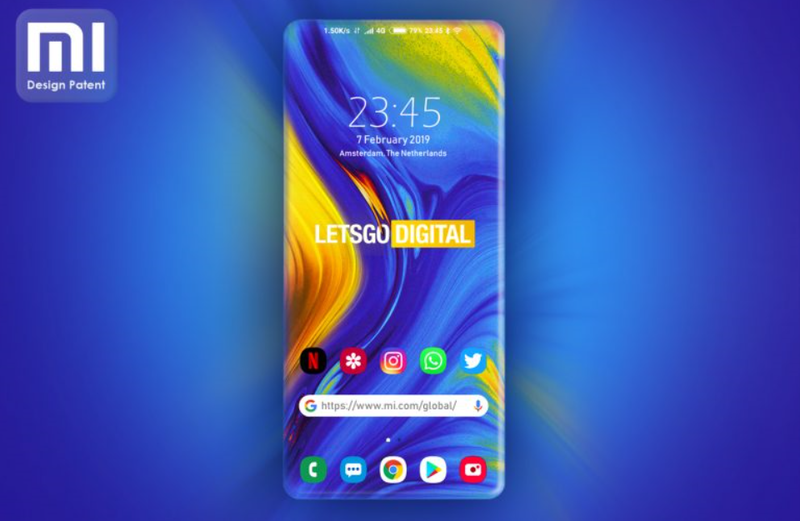 The smartphone doesn’t have a name and is unlikely a member of any of the Chinese company’s current line-up, although the innovation it shows could make it a candidate for an eventual Xiaomi Mi 10 handset. 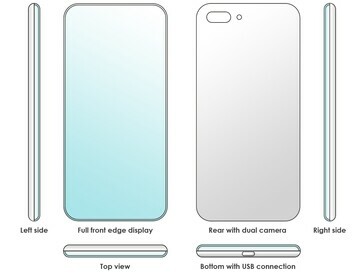 Xiaomi’s design patent is for a “full screen smartphone with 4-sided edge display.” The description is self-explanatory: The device has a full-screen display that reaches over all four edges, covering half of where a normal smartphone’s housing would be. 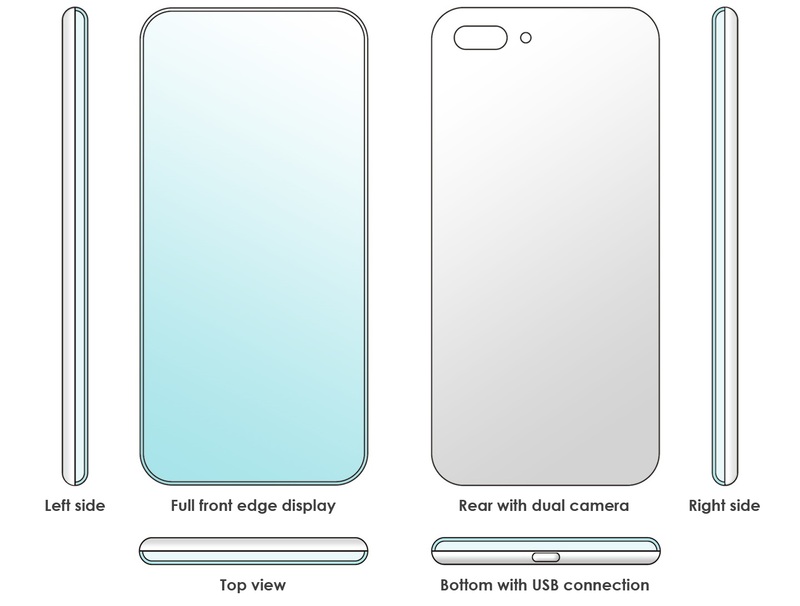 There is a rear-facing dual camera setup included and a USB port can be found on the bottom edge. 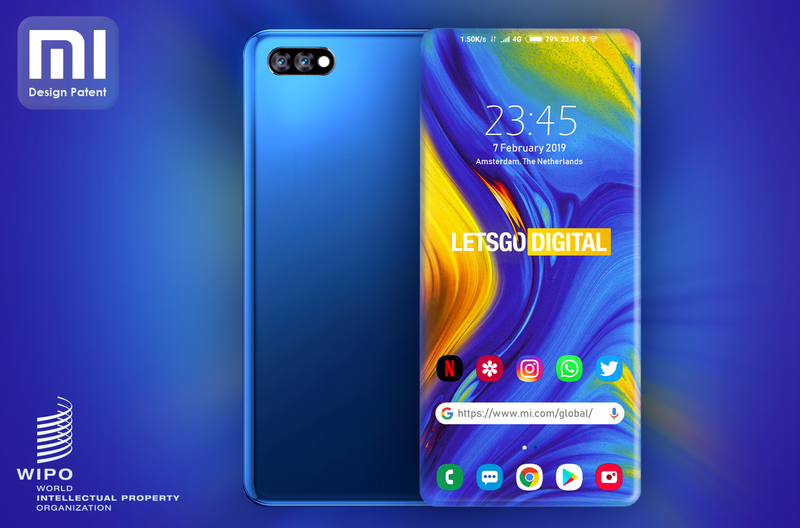 There is no mention of the front-facing camera, and it could be simply presumed that Xiaomi would place it under the display if development of this smartphone commences. Smartphone technology is advancing at a rapid pace, and something like the device in the render could be hitting the market in the not too distant future.